Lydecker Diaz Senior Partner and former City of Miami Mayor Manny Diaz has been selected as one of nine new members of the Board of Trustees for the Collins Center for Public Policy. The prestigious group includes prominent leaders from across Florida who will be charged with leading the non-profit organization as they seek out creative, non-partisan solutions to Florida’s toughest issues. 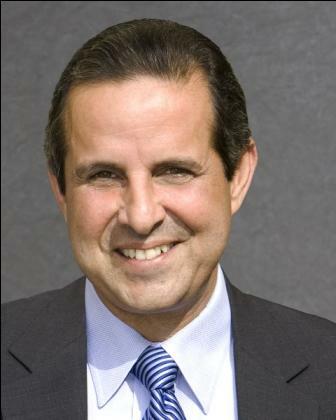 Miami’s Mayor from 2001-2009, Diaz gained national recognition for his implementation of a series of innovative programs in the areas of urban design, sustainability and green initiatives, education, infrastructure investment, affordable housing, law enforcement, poverty and homelessness, and arts and culture. He shepherded Miami through its greatest growth in recent history with his vision of making Miami an international city with a highly-rated quality of life. Diaz is now Senior Partner of Lydecker Diaz law firm heading up its corporate transactional department. Prior to his post as Mayor, he was an accomplished attorney, having handled successful commercial transactions, both as lawyer and principal. This recent appointment adds to Diaz’s long list of advocacy and civic activity including: Resident Fellow at Harvard’s Institute of Politics, Vice-Chairman of the Alliance for Digital Equality Board of Directors, as well as member of US Homeland Security Advisory Council, the Board of the Bloomberg Family Foundation, League of Conservation Voters, the National Environmental Education Foundation, the Mayors’ Institute on City Design, and the Board of City Year Miami. Joining Diaz as newly appointed members of the Board of Trustees are: Raoul G. Cantero – former Justice of the Florida Supreme Court and Partner at White & Case in Miami; Al Dotson, Jr. – former President of the Orange Bowl Committee, current National Chair of 100 Black Men, and Partner at Bilzin Sumberg in Miami; Helen Aguirre Ferre – broadcast journalist, commentator for Diaro de las Americas and public television station WPBT; Pam Iorio – Former Mayor of Tampa and member of a public affairs consulting group; Brian Lucas – President/CEO and Vice Chair of the Bonita Bay Group and a civic leader in Ft. Myers; Deirdre Macnab – President of the Florida League of Women Voters and a civic leader in the Orlando area; Joe Oglesby – coordinator of the Haitian News Project and former head of the Editorial Board for the Miami Herald; Andrew Rosenkranz – Regional Director for Florida Anti-Defamation League, litigator and rabbi.